Westminster Tools Hosts Annual Open House to Support Industry Awareness - Westminster Tool Inc.
More than sixty attendees registered for the free event hosted by Westminster Tool on November 8th. Every year, Westminster opens their doors for this evening event to showcase the incredible manufacturing career opportunities available. The incentive for hosting the Open House allows Westminster Tool to showcase the company’s differentiator – it’s people! It also allows for attendees to get an unexpected picture of what manufacturing looks like today. 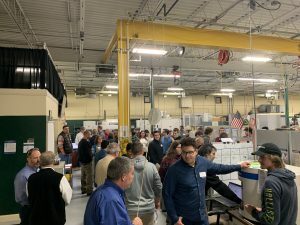 Over 60 guests attended the 2018 Westminster Tool Open House. A majority of attendees were individuals that are currently pursuing various pathways into careers in manufacturing programs. Some the programs represented were: The Quinebaug Valley Advanced Manufacturing Program, Three Rivers Community College Engineering Program and the Manufacturing Pathway from Plainfield High School. 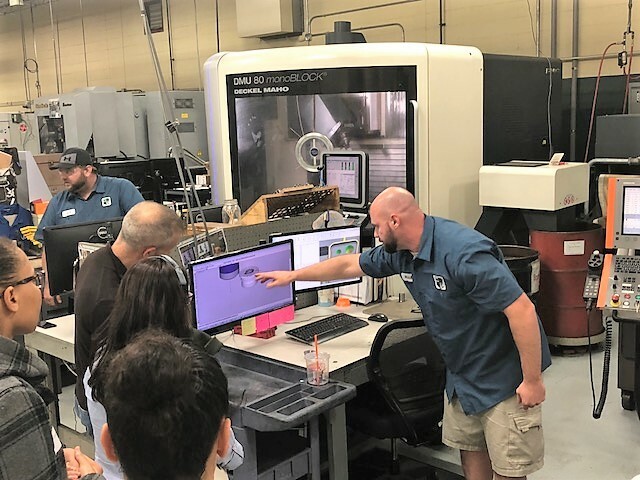 The overwhelming response was surprise at the cleanliness of the facility and enthusiastic feedback on the innovation that takes place within our shop Another noteable take away from the evening by guests was Westminster Tool’s employee focused training and development programs offered. This is one particular area that Westminster Tool is incredibly proud to share! Each year we are grateful to be able to demonstrate the types of career and growth opportunities exist within companies like Westminster Tool. The motivating factor for our community outreach efforts is to Open doors and change minds about a career in manufacturing. Based on the feedback we received, we are confident this year’s Annual Open House was a success!